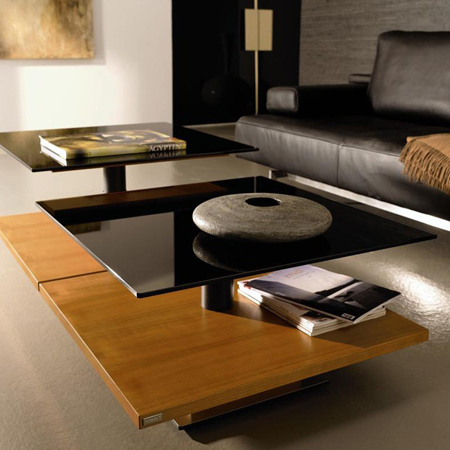 The CT 110 is available with an optional fixed or height-adjustable glass top. This can be set to any height from 40 – 55 cm. 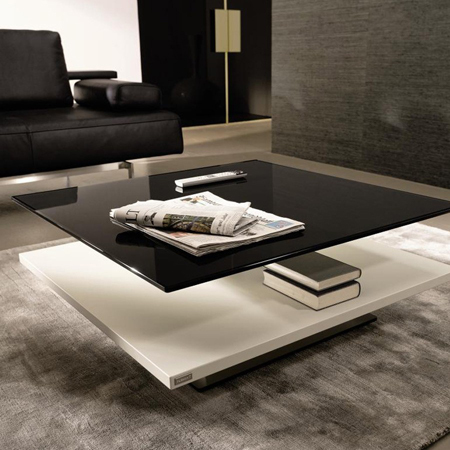 The glass top itself can be chosen in black or white lacquered glass versions or in stained glass. 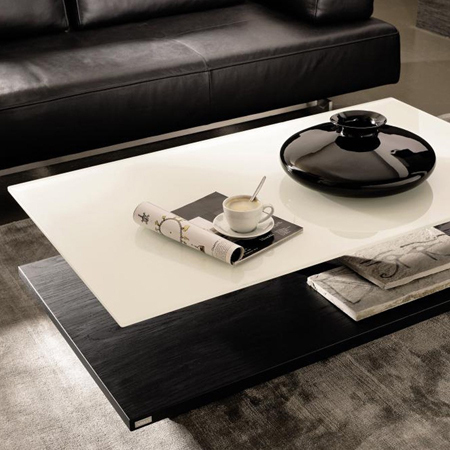 The table is available in sizes of 70 x 70, 90 x 90 and 120 x 70 cm. 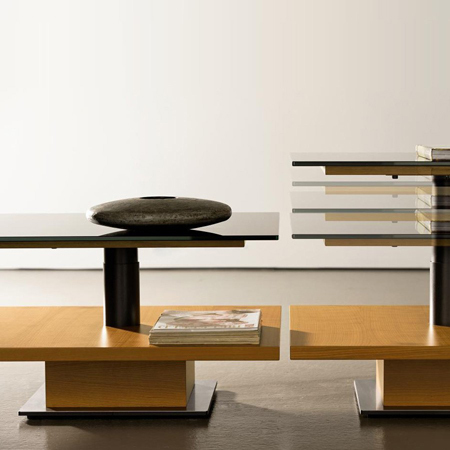 Surface versions are available in white lacquer, natural oak, oak anthracite, cherrywood gold, core walnut, light brown ash. Just give us a call to 020 8961 7780, email to info@fcilondon.co.uk or fill in the form on this page.